Not So long ago, 512GB was a very substantial size for a memory card. Today, though, Kingston is easily able to offer that capacity in the form of the behemoth 512GB Ultimate SDXC UI memory card. 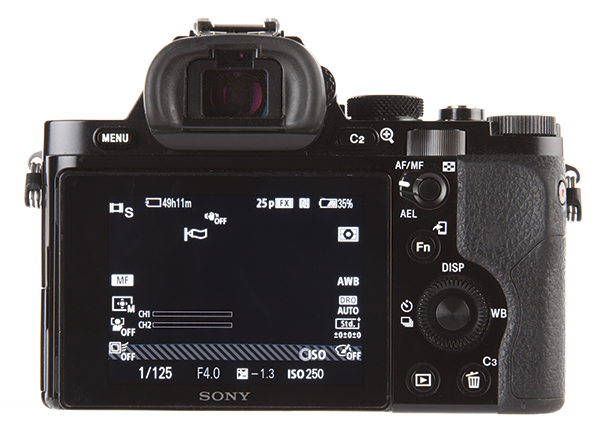 When loaded into a the Sony Alpha 7R and set to record video at 1080p resolution/25 frames per second, the camera quoted a capacity of over 49 hours of footage. In the Canon EOS 5D Mark III it ‘maxed out’ the counter, saying it was possible to shoot a total of 9,999 raw files in its largest resolution. We tested the card for speed in the SD card slot of a MacBook Pro (mid-2015, 2.8GHz Intel Core i7, 16GB RAM) using the Blackmagic Disk Speed Test and it boasted a speed of 9.9-20.5MB/s (80-164Mbps). This is a somewhat disappointing performance, considering that Kingston claims a speed of 45MB/s is possible. For 25p HD footage this UHS-1 U1 card records great video, but I found when shooting with the Blackmagic Pocket Cinema Camera it struggled to keep up with the camera’s Apple ProRes codec and dropped frames after recording for a while. It’s therefore expected this card would also drop frames with 4K video cameras, too. However, if you’re not shooting over 1080p HD video and want to capture a mixture of still and video, this card would be perfectly sufficient. Although with that in mind, it’s hard to find a real need for a single card of this size. Additionally, there’s a risk that if it corrupts you’ll lose a whole lot more data than if your files are saved over a number of cards. That said, photographers who shoot timelapse or similar footage and want to travel light with a high-resolution camera like the Canon EOS 5DS R will find this the perfect product. With 512GB you can save more than 49 hours of HD video.